Hated drawing this page. Hate, hate, hate, HATED it. 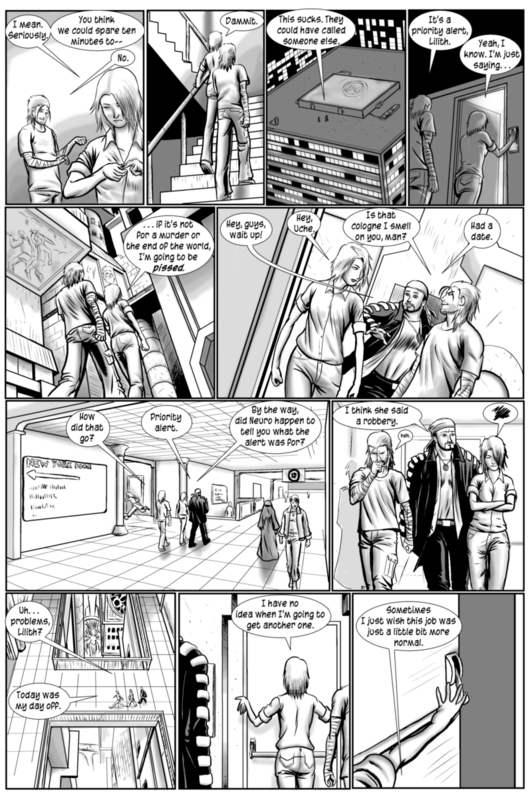 It took me like a week and a half trying to fit as much detail into those panels as I could manage with cluttering the whole thing beyond recognition. But man, I just couldn't do without the demonstration of the Corridor and Lilith's griping. Also! There is a brand-spankin' new bit of EverydayAbnormal art up at the comic's Facebook page featuring the sword-swinging, gun-wielding Asuka Murakami! I'm pretty sure Lilith's wishing that they'd called in... well, basically anybody else.